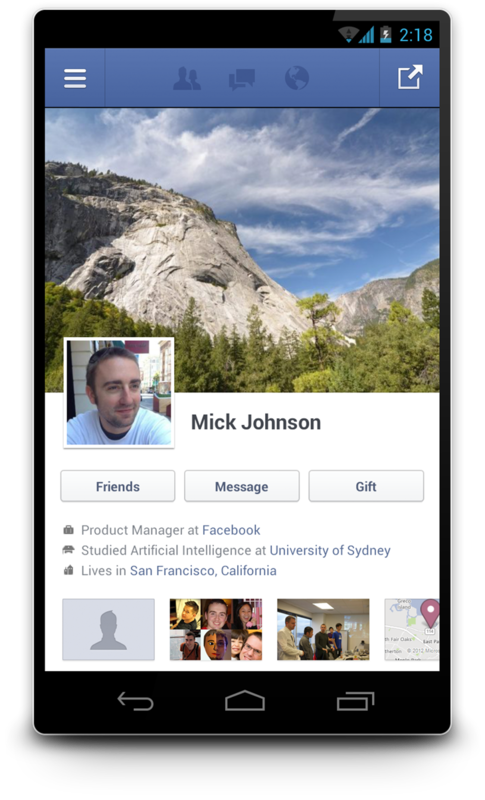 Facebook has gone fully native, with its Android app joining its iOS sibling moving away from HTML5. The social network has just released an update to its mobile app, but instead of it being a facelift, it’s much more surgical. The company rebuilt it from scratch to help improve the user experience with faster speed and better performance. Now, all Facebook services will be the same across the major platforms. The shift from an HTML5 application to a native Android one caps an end to an effort the company led to create a better mobile experience. Founder and CEO Mark Zuckerberg publicly said earlier that building in HTML5 was a mistake and Facebook soon followed up with the release of a new iOS application. And now, Android users are going to get the same performance that their iOS peers get. In a post on its engineering blog, Facebook says that “we’re moving from a hybrid native/webview to pure native code, allowing us to optimize the Facebook experience for faster loading, new user interfaces, disk cache, and so on.” In fact, it says that it rebuilt several of the app’s core features including the News Feed and Timeline so that it users can get the information that they want without having to wait because it’s still loading. Now, you can comment and like a story more quickly, and photo loading is optimized to be much faster. We also built a new, automatically updated story banner to bubble up the newest stories, no matter where you are in news feed. The bottom line of this update? The Android app is going to now load faster and you’re going to be able to view photos instantly without having to leave the News Feed. This is developing. Please refresh for more updates.